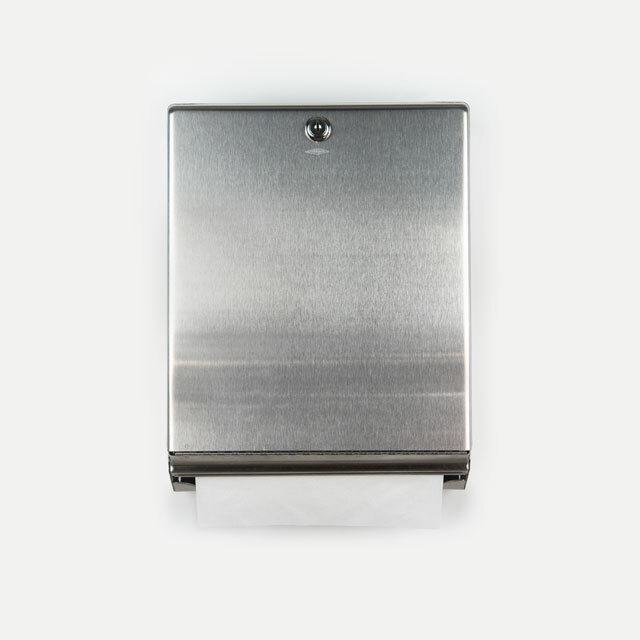 Handmade, embossed, folded paper in stainless steel dispenser. Towel size: 9×9¾" flat, 9×3¼" folded, edition of 130. Created in collaboration with Steve Orlando during a workspace residency at the Dieu Donné Papermill (New York, NY). Paper pulp donated by the Weyerhaeuser Corporation.